All websites now are expected to connect to each other through social media. It’s how people know your website is part of a bigger family on the Internet. Being a part of that family allows visitors to share their activities with their friends, and every post linking back to your website helps draw more people in. This adds to your popularity and to your footprints on the web and makes your website more profitable. 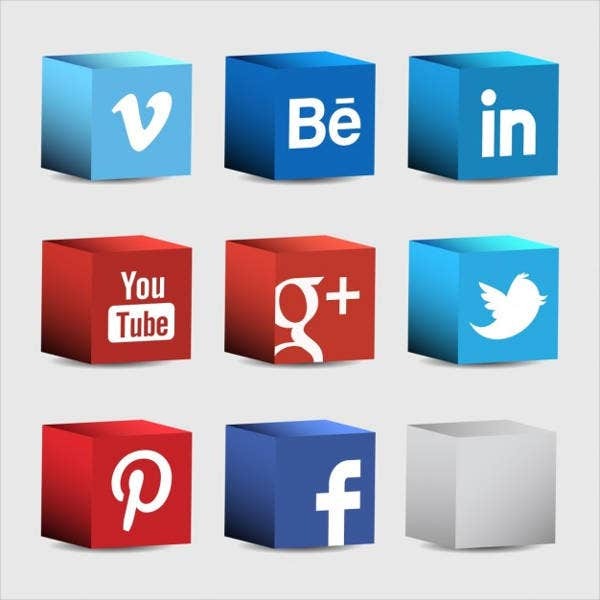 Here, we’ve decided to share with you some beautiful icons that you can use for your social media plug-ins. If you were looking for a broader selection of free icons, check out these icon designs that you can add to your own collection. Social media icons can come in a variety of styles and designs. Whether you want them to seamlessly blend in with your design to create an overall beautiful website or have your social media plug-ins stand out in an effort to encourage more sharing among viewers is up to you. How each design impacts your following varies and may take some time of observing your own website stats before you can get a handle on them. Why not try some out? And while you’re at it, you can check out some more social media icons we offer and see for yourself which one works for you and for your web design. There are various free design styles to choose from, and having well-crafted icons for your social media plug-ins couldn’t hurt. Every visitor is a point to you as a website owner or developer. Having content worth sharing makes for a loyal following. So why not make sharing them as easy as a single click? Being a part of that online community lends you to having a potentially large audience to reach out to either increase your revenue or to get your message heard by a larger population. The social media icons we’ve collected here come at a variety of styles and are free for you to download and utilize for your own websites. Having them match with your web design is doubtlessly important as is having them as clear and recognizable as possible to any user. Some of the social media icon packs we’ve shared come in themes, and some are flat and minimalist by design. Some of the social media icons also come in PSD files or other readily modifiable formats that better suit your own theme. The more readily usable PNG files also available for free. These high-quality icons are clear and ready for use in your social media plug-ins. We’ve also shared with you a few social media icon designs that would do well on articles, infographics, or even posters relating to social media and Internet communities. While you don’t need to be a part of each on of them, having an understanding of the rules and general etiquette helps in reaching a larger portion of that audience. One of the largest and most actively engaged social communities online is Facebook. Check out some of these Facebook icons that we’ve gathered from around the web free for you to use in your own websites.